As a stamper, it is a beautiful thing to have the opportunity to make the most inspiring and lovely things you find around you into rubber! 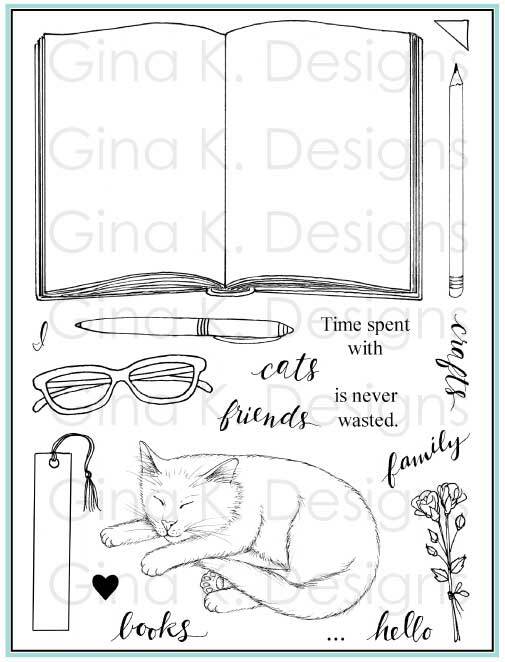 I have so enjoyed creating images in the hopes of making you laugh and smile, drawing cartoons has always been fun for me and you know I love figuring out silly combinations with stamps for the "surprise" factor! But you might be surprised to know that when I began stamping my first purchases were all vintage stamps, followed by about a bajillion other floral sets! They're always pretty, lend themselves to so many WOW techniques, can be almost any color that strikes your fancy, and are always appropriate to send, for any occasion (who doesn't love getting flowers?) I've had several "two-steps" that allowed some customizing (like adding leaves where you choose etc) but have never really had a realistic-looking flower building set before...I am SO excited to share with you a peek of the floral set of my dreams: "A Year of Flowers"!! To create the sunbeams, I cut a couple diagonal pieces of scratch paper and placed them over my sentiment(on Vanilla CS). Then I sponged Apricot Appeal over it, concentrating the color the edges, then removed my strips: voila! instant sunlight! The dark sponging on the edges makes it even more atmospheric and provides a beautiful contrast to the light. 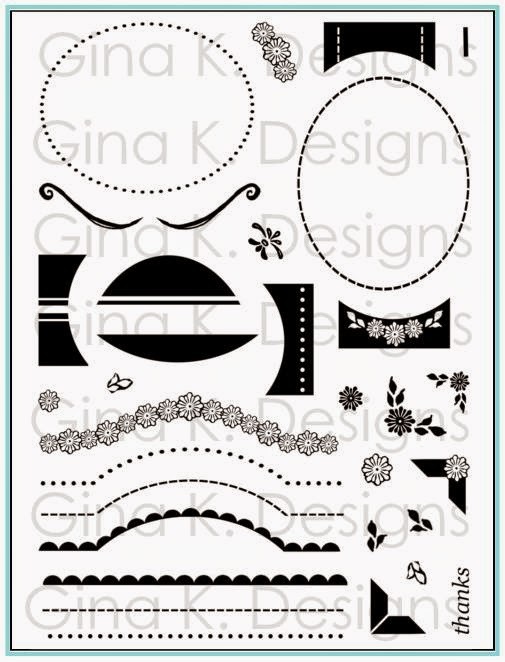 As you can see, the new popular Cuttlebug Leafy Branch and Floral Screen Embossing Folders work terrifically with this set!! 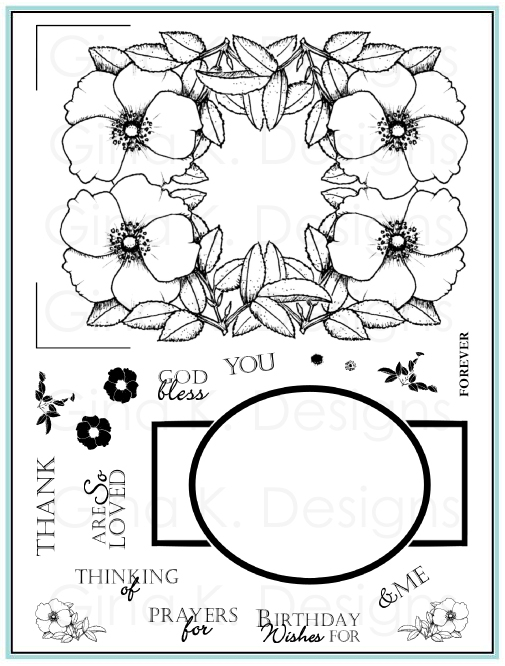 The quote above is from my second stamp set this month: "Say it With Flowers". 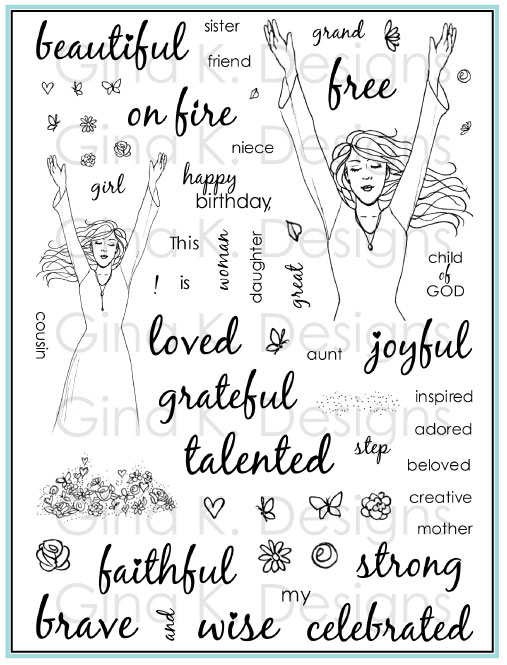 With the first set I wanted to include words that would allow you to create the sentiments you'd need for ANY occasion year round (check my new tip sheet for combos, coming soon! 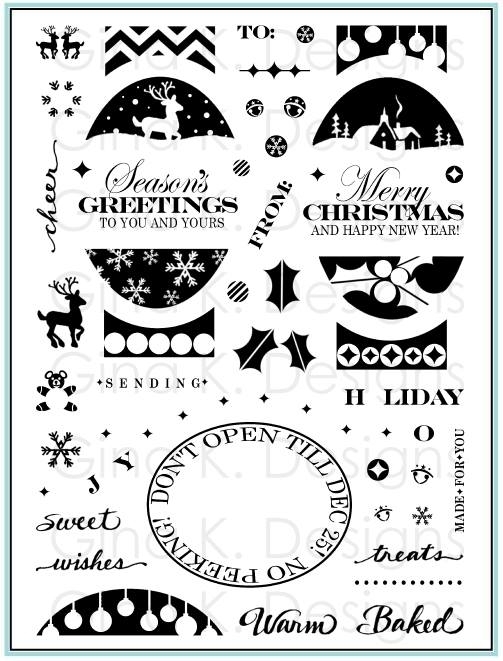 ), I love this classic looking font with these illustrations and the blend of regular and italics give your greetings a really fresh and modern feel! Gina had the brilliant idea, though, that I should add just a few more illustrations to make "A Year of Flowers" even more year-round, which I was happy to oblige, but then I wasn't going to have enough room for all the greetings options! 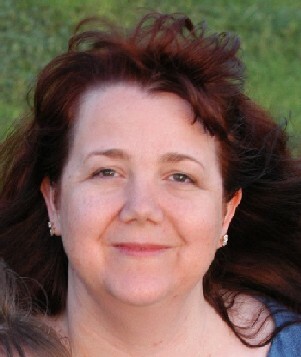 Her solution was for me to create a companion set with all the ones I originally wanted and MORE (I love that woman!) I searched high and low for the most beautiful and inspirational flower-related quotes I could find to fill out a set of sayings that will be perfect for cards (and not only with my flowers, but any other flowers you have (any "flower stamp collectors" out there?!) 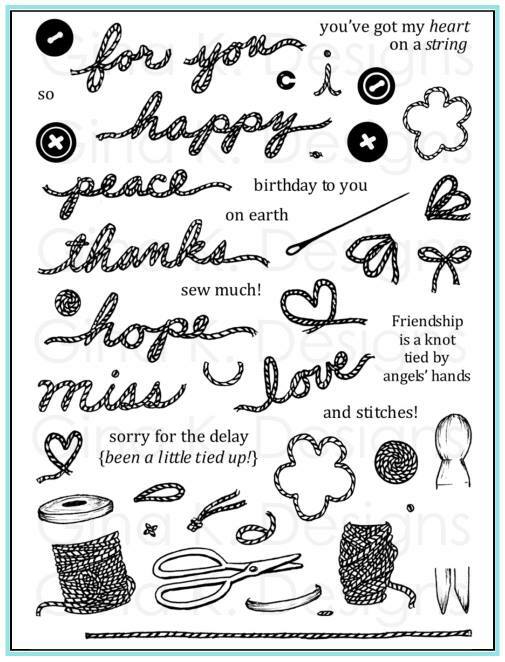 Don't worry, though, "A Year of Flowers" does still include some all-purpose greetings! Now! 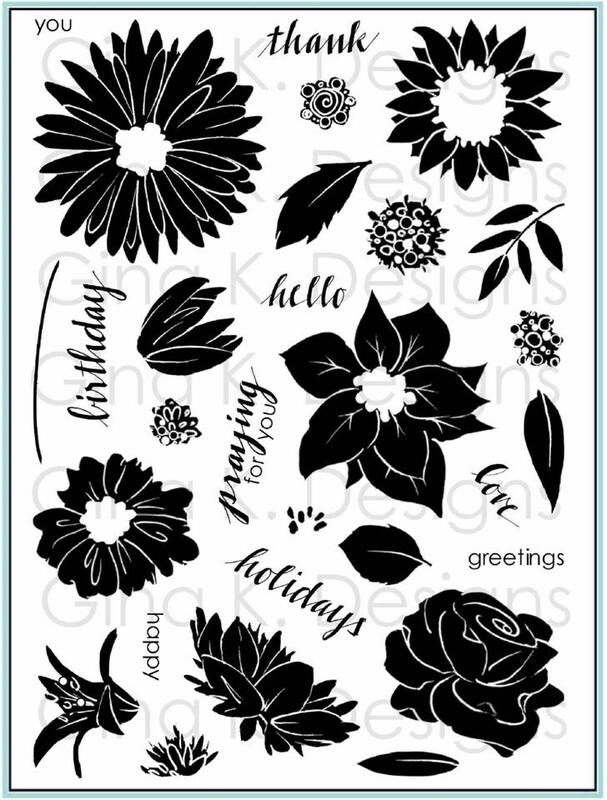 The following monochromatic, single layer card shows you don't have to spend a lot of time coloring to make these images work and how you can combine two stamps from "Say it with Flowers" to create "happy" "holidays". I scored a double border with my Scor-Pal on the base and another to frame up my greeting, then covered the border with scratch paper and stamped just my new poinsettia in Ruby Red ink around the edge, covering the stamped bloom with a mask I made of the image each time for a layered effect. Some punched fancy corners and a few adhesive rhinestones at the corners and in the greeting and I'm done! This would be a very simple design to mass-produce. Last, while I have your attention (hee hee! 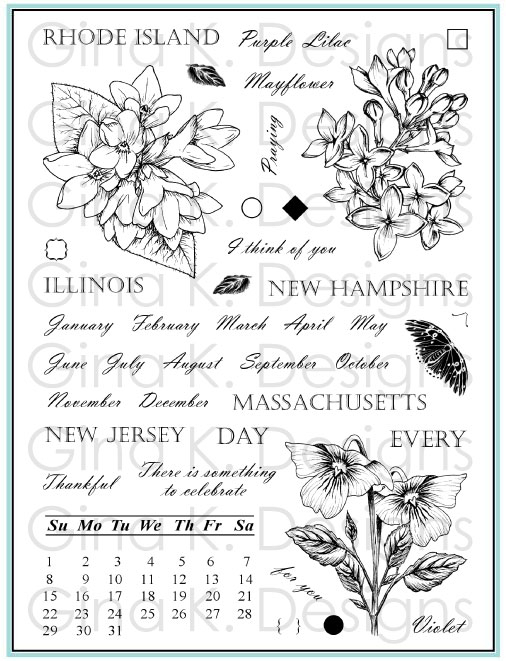 ), I can't go without pointing out one of the most exciting features of this set: being hand-drawn, they are asymmetrical, which gives a very natural look and allows your flowers to look slightly different when they're stamped "upside down" or "right side up" (nice to stamp several in a bunch, they look like the same type of flower, yet uniquely individual) but they are symmetrical enough that two of my favorite images of the bunch are a GREAT match for your scalloped punches and Nestabilities! Leave a rim, a close trim, or add a few snips for individual petals and you've got some very intricate-looking CUT flowers in a snap, I LOVE IT!! OH I just KNEW you'd have STUNNING creations to show these beauties!!!!!!! Oh the sunbeams are just heavenly!!! LOL Yes, they are!!! These blooms are so gorgeous and the sentiments so very meaningful!!! You are an incredible artiste my friend!!! I love your new flower sets. I sure NEED this set of flowers, lovely. Your cards are absolutely stunning, as is all your work. You always manage to knock my sock off, Melanie. These stamp sets are amazing. A must have for every stamper. I love your gorgeous cards. Great layering and coloring. Thank you so much for honoring me with the opportunity to be your guest designer! Beautiful cards, great technique, and wonderful new sets, Mel! Oh my Gosh, Melanie. You just blew me away with your gorgeous cards! I will have to get your stamp sets and the new watercolors. (I wish I had access to come cool watercoloring classes! lol) You are just amazing. AMAZING cards Mel! I can't wait to buy this set, it looks spectacular! This is the most beautiful floral set...I am seriously in love with it!! You can NEVER have too many flower sets, right? I especially love the day lillies, one of my all time favourite flowers. Well done Melanie!! GORGEOUS!!!! Love these new sets!!!! Wow. These are just too gorgeous! The flowers are stunning and I think those sentiments are going right to the top of my wish list. 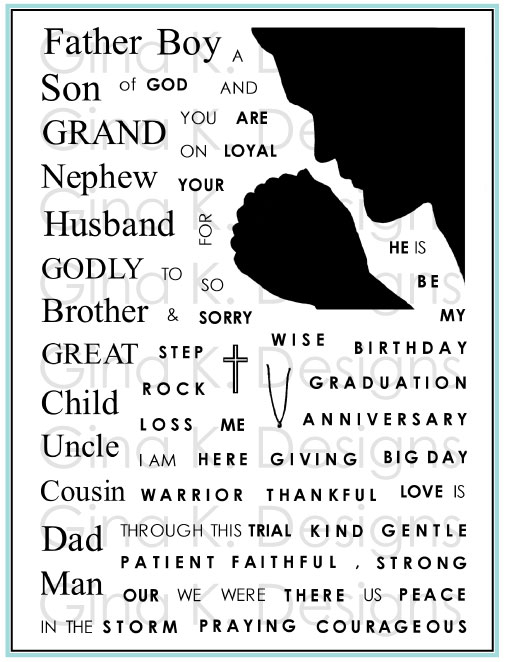 I love the card you created with them! Congratulations on another wonderful release! OMG, Mel! I keep saying, THIS is my favorite set each month that you come out with one, but I do think this one IS!! I LOVE how you created that sunbeam, how awesome! And your coloring is so beautiful on those flowers! I love too how you can use the nesties, so brilliant! Thanks Mel for another awesome set! Great sets Melanie! I love the sizing of the images and versatility of them. Such talent! WOW WOW WOW! The cards are just stunning, beautiful, fabulous, and so inspiring. I just love flowers! No matter what kind... love the way you did the shading... also love your Christmas card... great way of showcasing the image... TFS! Thanks so much for all of us! I can't WAIT! I'm so excited and I LOVE these new flowers. I'm new the release party deal, but I'm so looking forward to it! I can't wait to see some new releases!! Thank you for creating beautiful images for those of us who can't draw!! Well Mel, you did it again! I love these, and they're so different from your previous sets. The flowers are beautiful! Stunning! How brilliant of you to coordinate your sizes with the nesties...perfect! You have definietly hit the home run with this set. Everyone will need to see this, can't wait to post something on my blog. They are so stunning. You have such amazing sets. I really fell in love with your T's and your hoodies. And now this "STUNNING" set. Great work! I love, love, love it. And once again, can't wait to purchase your set. Your work is stunning, love your flowers. 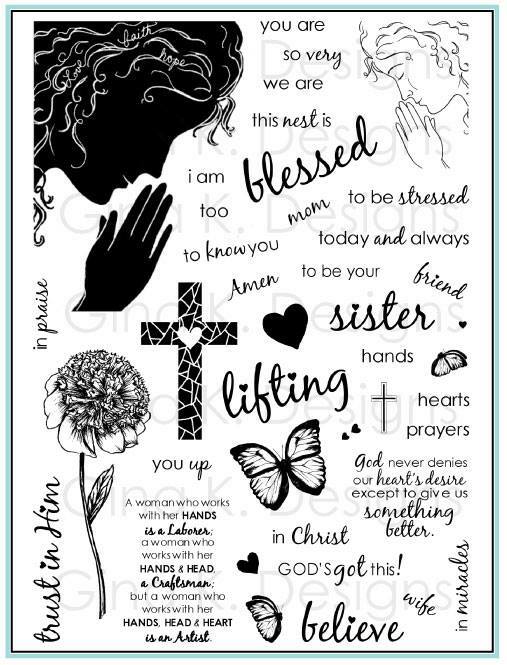 Stunning, and I just saw Carolyn's card with your set. I think this will be a very versatile set. Awesome! WOW! This looks like an awesome set and so not what I had pictured when I heard you had 2 new sets coming out. Great job on these new sets - and I love the sentiments I've seen so far! The simplicity of your Holiday card and the colors is just stunning. Its absolutely gorgeous. Melanie! you are so kool! I absolutely love this set and I am getting it! You are so innovative to size the flowers to die cuts!! You go Woman!! This is an awesome set. I LOVE flowers! I really love your card! The colors are just gorgous, and I love how you did that sunbeam...brillant idea! 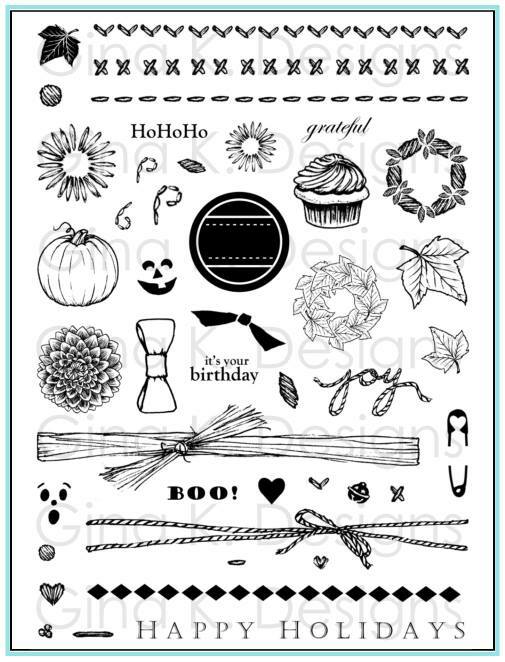 This looks like such a stunning set of stamps! I'm loving all of the previews of it. OK you are just too darn talented for one woman! lol The sneak peaks of the flowers sets are gorgeous, I love your cards! and having a visual of the nesties with the flowers is awesome & opens the door for endless possiblilites! Yep You Rock! TFS all your wonderful ideas. I love both cards and how they fit so well the nestibilities. Thank you for sharing how you made the sun beams! I see 2 flowers used...LOVE the raised panel of the flowers, so smart! just gorgeous, love the sun rays! Wow, beautiful card!! I LOVE these new sets, and I am definitely a "flower collector". So glad you designed these just for me! :) Thank you! Well you did it again Mel, absolutely gorgeous stamps and cards!! Congrats!! Beautiful card!! Your flowers look amazing!! Thanks for the tutorial!! 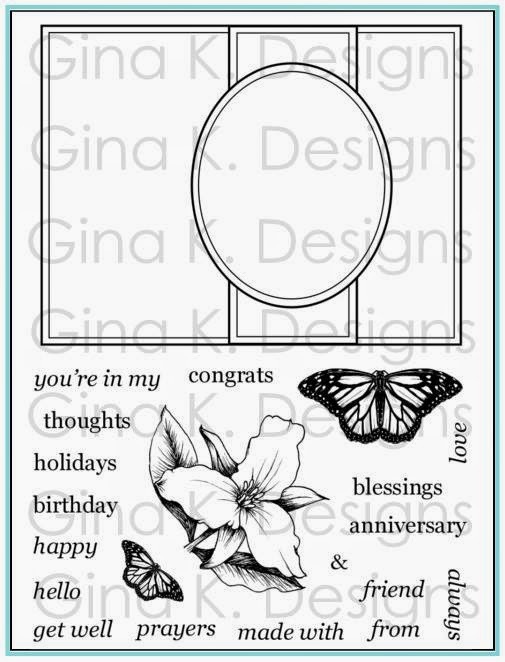 Your stamps and cards are FABULOUS, the coloring on the lily card is gorgeous and the poinsettia card is especially lovely...the simple elegance is just stunning!!! Oh Melanie, your new sets are awesome! Your cards in the posting are incredible! I soooo appreciate you showing how well the stamps work with the nesties. I can't tell you how many times I'll look at a stamp and wonder if it will work with one of my punches or nesties. Thank you! OH WOW Melanie, these are gorgeous!! I am completely AMAZED at your talent. I loved your fun, "cartoony" sets, but these flowers, OMG! your sunbeam technique is terrific! what a wonderful idea. your blooms are amazing.